With a rapidly growing 12 Volt industry, Carrady Imports Limited prides itself on offering the best products within each market segment. Our product lines range from the most technologically advanced to standard replacement pieces. 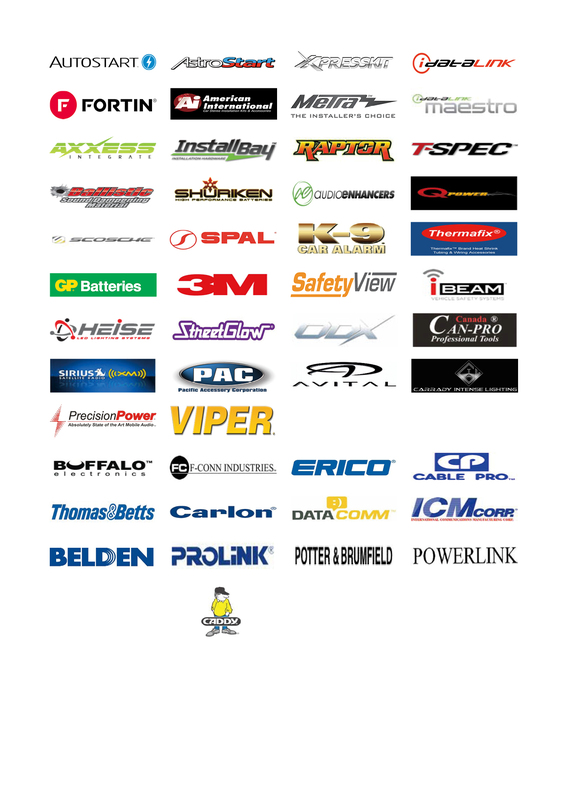 With names like ProLink, Powerlink, Streetglow, Metra, 3M, K-9, Omega, Buffalo, Fortin, IData, Autostart, Precision Power and more, you just can’t go wrong. In addition to auto security products, we also carry various car audio and video products, remote starters, car electronics accessories, and vehicle tracking products.